ASPROM has helped to produce the first catalogue of every Roman mosaic ever discovered in Britain, The Roman Mosaics of Britain, by David S. Neal and Stephen R. Cosh: read about it here. 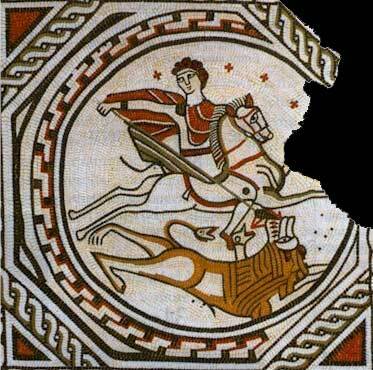 We also offer grants to individuals and museums for the study, conservation or presentation of ancient mosaics. Painting of a mosaic at Croughton, Northamptonshire © David S. Neal. This site is maintained by Ruth Westgate. To find the page you want quickly, see the Site Map.